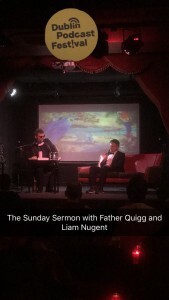 THE SUNDAY SERMON LIVE was performed in THE WORKMAN’S, DUBLIN on SEPTEMBER 24th at 1.15 PM as part of the DUBLIN PODCAST FESTIVAL. Fr. 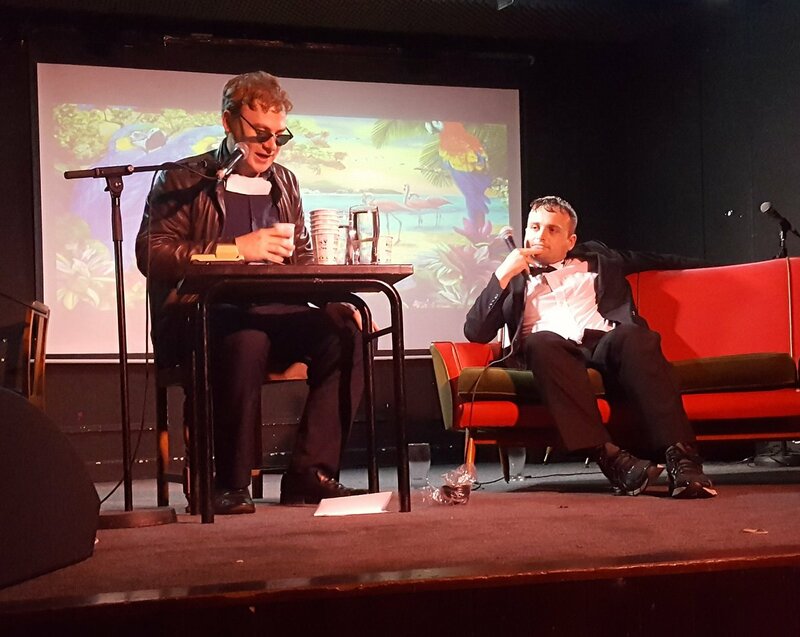 Quigg (Giles Brody) and Liam Nugent (Peter McGann)’s guest was Cillian Murphy’s silly brother Sillyian Murphy (Stephen Bradley). Mega massive super cheers to Headstuff, the Podcast Festival and to all who came out! Photo’s (c) Sarah Garvey & Alan Bennett.